Today we're talking about decluttering your coats and jackets. Whether you have a hall closet, coat rack, or mud room, coats and jackets can take over and make the space cluttered. If you can't get the jacket you want out of the closet because the hangers are so squished, it's frustrating. When you come home, the last thing you want to do is fight to get your coat to stay on a hook that's already overflowing with coats, so when it falls on the floor for the 17th time, you just leave it there, adding to the clutter of your entryway. So, instead of dealing with the coat clutter every day, spend 10-15 minutes decluttering your coats and jackets today and enjoy coming and going from your house more! 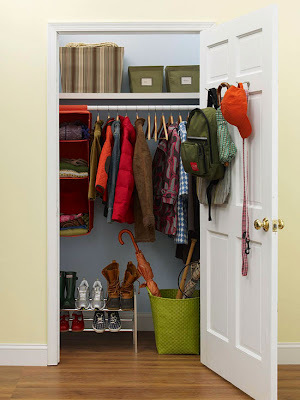 If you keep the number of coats and jackets limited, it will help keep your closet or entryway clutter free. Space between hangers is always a good thing :) Plus, you'll even have room for guests to put their coats now! There are lots of pretty pictures of mud rooms and coat closets. Depending on your space and your family's needs, use these links to figure out the best way to organize your coats to keep them from getting cluttered. 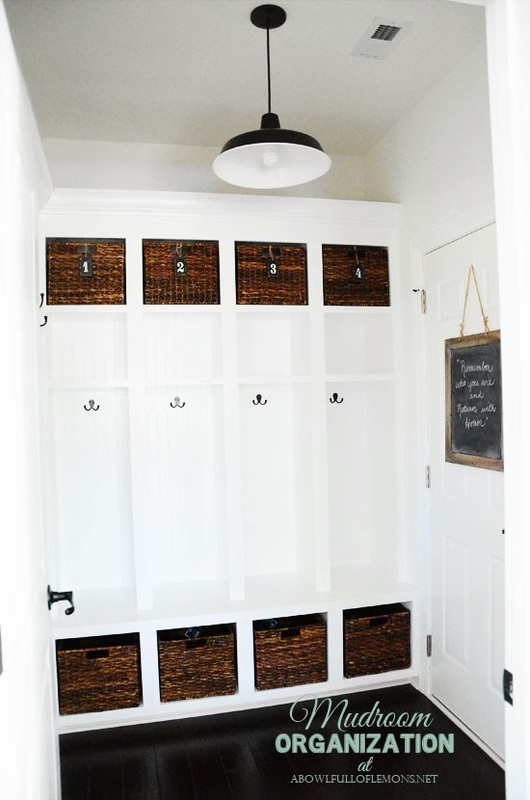 You can declutter the rest of your hall closet, mudroom, or entry area. 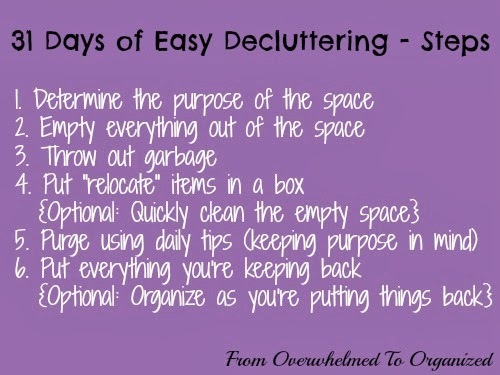 Or you can organize your space to keep the coat clutter away in the future. Visit my Entryways, Drop zones, and Command Centres board for more ideas on organizing your coats to combat the clutter. Note: I've decided not to host a link party at the end of this series. But on the last day I will feature pictures that you have shared throughout the series. I've seen pictures on Facebook, but the Pinterest hashtag #31DaysEasyDecluttering isn't working properly. So please leave me a comment with links to the pins you've shared of your progress so I can check them out! Thanks! 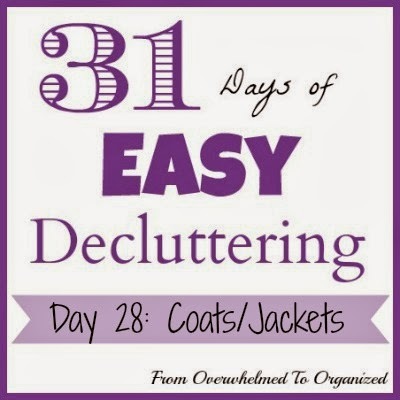 How many coats and jackets did you declutter today? How do you organize your entryway to help keep it clutter free?